What’s the easiest way to distinguish an American investment banker from a European one? The European banker probably speaks 4-5 languages; the American one knows only English and 5-10 words of Spanish. The European banker is still having nightmares about assessment centers and logical tests, while the American one is still worried about a slightly-too-low GPA from a non-target university. The European banker is panicked over the possible breakup of the EU, while the American one is more concerned with a psychopath in the White House. But something much simpler also sets them apart: The American banker is far more obsessed with exit opportunities. Investment Banking Exit Opportunities… What?! Many articles, videos, and forum posts jump into a comparison of different “exit opps” without defining what an exit opportunity is. So let’s start with the basics: “Investment banking exit opportunities” are other fields that you go into after starting out in investment banking and working there for a few years. Often – though not always – this field involves investing in companies instead of advising companies, or acquiring companies rather than advising on those acquisitions. Private equity and growth equity. Hedge funds and asset management. Corporate finance and corporate development. Bankers are motivated to move into these other fields because the work is more intellectually engaging, the pay is higher, and the hours are slightly better. The Work is Not THAT Much Different: Yes, there’s less grunt work, and you get to use your critical thinking skills since you’re acting as an investor… but if you think financial statement analysis is boring, you’re going to hate these jobs as well. The Hours Aren’t Necessarily That Much Better: If you do the investment banking vs private equity comparison, for example, you’ll still be working long hours that prevent you from having much of a life if you’re at a “mega-fund” (one of the largest private equity funds). The hours are better at smaller firms, but you’re still looking at 60-70-hour workweeks in many cases. They Have Unadvertised Downsides: For example, at many PE firms you have to do a lot of “sourcing” where you cold-call companies and pitch your firm as a source of capital. You also have to monitor portfolio companies and do administrative work related to the fund, and you’ll end up passing on ~99% of the deals you look at. Then there’s the social aspect – you’re more of a “lone wolf” in many of these roles since you have to come up with investment ideas and drive deal processes by yourself. There’s less office politics, but also less teamwork. All those drawbacks still exist; almost nothing about the work itself has changed. Investment Banking Exit Opportunities: What Has Changed? Much of the process that takes place before you can access these exit opportunities has changed. Also, the industries have changed – everything from compensation to long-term prospects is different. Often, these internships will be at small private equity funds, hedge funds, or venture capital funds. These experiences must be part of your story when you interview for buy-side roles. These early internship experiences are a great way to “test drive” investment banking exit opportunities before you commit to anything. You might not even need investment banking to pursue some exit opportunities – if you get the right sequence of internships early on. For example, you could potentially move into hedge fund or asset management roles right out of undergrad if you’ve gone the CFA route and completed prior internships. If you’re working at a bulge bracket or elite boutique, headhunters will start contacting you a few months into the job, even if you’ve had no real deal experience yet. So, you might not have much to talk about in interviews, at least if you focus on the mega-funds that start ridiculously early. It also means that you may not have much time to decide on your best option – wait too long, and many PE and HF opportunities will be gone. You can still move into other industries, but you’ll have to focus on smaller funds or areas like corporate finance without hyper-accelerated recruiting. Banks, after realizing that investment banking jobs were no longer desirable next to jobs at Facebook and Google, have been attempting to improve Analysts’ lives. They started offering “protected weekends,” where Analysts get guaranteed time off from Friday night into Sunday morning for one weekend per month, and some banks have gone beyond that and attempted to limit office time on all weekends. Banks have also been trying to keep junior bankers around longer by promoting them more quickly and paying bonuses in December/January. You’ll still be working all day and night on weekdays, but these changes have made 110-hour workweeks a bit less common. So the lifestyle improvement in moving from investment banking to investment banking exit opportunities might not be as dramatic anymore. Anecdotally, it seems like more bankers are pursuing non-PE/HF exit opportunities now. The tech startup is the biggest and most obvious new area, but there has also been more interest in corporate finance and areas like consulting and equity research. For reference, pre-2008-financial-crisis pay was insane. IB Analysts who left banking and went to mega-funds would often earn $500K in all-in compensation, and it could be even higher at the top hedge funds. Pay dropped immediately after the financial crisis, and it hasn’t recovered since then. Average “all-in” PE compensation across all levels has been around $250K – $300K, with HF compensation around $300K – $350K (Source: The Job Search Digest compensation reports). But those are averages across all levels: If you enter after a few years in banking, you’ll be earning on the lower end of that range until you move up the ladder. Average Analyst and Senior Analyst compensation at hedge funds has been around $200K – $250K over the past several years. Yes, those are big numbers, but they’re not that much of an increase over investment banking compensation: Associates earn between $200K and $400K all-in. You do get a bump if you go from being a 2nd or 3rd Year Analyst at a bank to a buy-side role, but you won’t double your compensation. Finally, all these industries are more mature now. If you had joined a hedge fund in the 1990s, you would have been an early mover. But today, you’re another one of the tens of thousands who wants to move in. It’s better to join new industries early because there are more opportunities, and it can be faster and easier to advance. With many investing roles, there’s now too much money in search of too few good opportunities. Simple math means that many funds will not perform well and will shut down. You’ve already seen this in the news with many high-profile funds closing over the past year or two and more funds closing than opening. Many investors have also been clamoring for lower management fees – less than the 2% of assets that funds typically charge – which will reduce base salaries and make total compensation more variable. These changes mean that you should not think of investment banking exit opportunities as the be-all and end-all. Even the word “exit” is problematic because it implies that you’ll only move in one direction: from investment banking to something else. But if you read some of the reader accounts on this site, you’ll see that reality is not quite so rigid. 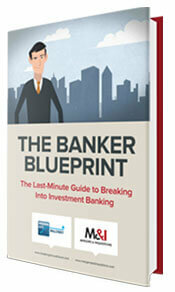 What Do You Need for the Best Investment Banking Exit Opportunities? A Bulge-Bracket or Elite-Boutique Bank – You have the best chance of winning mega-fund offers if you’re at one of these. The specific bank matters less than the type of bank you’re at. So if you have a choice between two bulge brackets, don’t choose based on which one is “more prestigious”: Pick based on the team and culture you prefer. If you’re at a middle-market or smaller firm, you can still win exits, but you’ll have to do a lot more work on your own and aim for smaller companies. The Right Geography – There are far more exit opportunities in New York, London, and Hong Kong than in other cities in North America, Europe, and Asia. And it’s tough to make an East Coast to West Coast move, or vice versa, if you’re in the U.S.
A Top Undergraduate Institution and GPA – Yes, these still matter, especially since recruiting starts so ridiculously early. The Right Industry Background – It’s tough to move from something specialized, such as FIG investment banking, into a more general team, such as a healthcare or consumer/retail-focused private equity fund. Solid Deal Flow – Particularly for private equity interviews, you won’t have much to talk about if you haven’t worked on deals yet. You might be able to get away with the “But it’s so early!” excuse, but you’re still at a disadvantage. The Right Preparation – Amazingly, many candidates, even ones from Ivy League schools at the top banks, walk into buy-side interviews without a stock pitch or investment recommendation and without knowing their deals inside and out. OOPS! Relevant Pre-Banking Experience – Ideally, you’ll have previous internships that are related to this exit opportunity, such as VC or PE internships if you’re aiming for growth equity roles. You should also avoid super-specialized groups such as FIG if you don’t want to work in those industries in the long term. And if you want to be in private equity, avoid teams like ECM or DCM because you won’t get much real deal exposure there. Which One is Right for You? Rank the Investment Banking Exit Opportunities! Someone will now ask for a “ranking” of exit opportunities. Private equity is best if you enjoy working on deals, but you want to think about them more critically and work with companies over the long term – years instead of months. You have a lot of options if you go into PE and decide you don’t like it: you could go to business school, join a portfolio company in a finance role, or even move to some other investment banking exit opportunities. You get more of a “generalist” skill set because you’re not doing just one thing over and over: It’s a mix of financial analysis, negotiations, leadership/team coordination, and sales skills (if you do sourcing or fundraising). Compensation is another positive, but to make serious money – in the 8-figure range or beyond – you’ll have to advance to a very senior level or start your own firm. Besides the fact that it’s so difficult to get into private equity, another drawback is that it’s very tough to get promoted up to the top. Partners at these firms have such cushy positions that hardly anyone leaves voluntarily. Hedge funds are so different from private equity that it’s almost deceptive to group them together. The main difference is that you follow and invest in individual companies, or other securities, rather than buying and selling entire companies. The day-to-day work is more stressful since you monitor the markets constantly, but you’re less likely to have a disaster on a pending deal that kills your weekend. You should consider these roles only if you have a track record, an undying passion for investing, and specific ideas; you don’t necessarily need those in PE since you can talk about your deal experience, but it’s essential here. The main downside to these roles is that you develop a very specialized skill set, which makes it difficult to move to different funds or different industries. It’s also tougher to get into top MBA programs because it’s difficult to explain a complicated investment thesis to admissions committees. By contrast, it’s easier to explain a deal or a difficult client situation, so you have an advantage coming from IB/PE roles. Venture capital is sort of like “private equity lite”: You still work with entire companies, but the deals consist of minority-stake investments. Since you invest in early-stage companies, there’s less financial analysis, and you spend most of your time analyzing the market, finding interesting companies, and networking. You also earn quite a bit less than you do in private equity, but the hours and lifestyle are better. If you want a long-term career in venture capital or you want to work at a tech or biotech startup in a finance or business development role, VC is a good path for you. But if not, it’s not necessarily the best option: It’s even more difficult to move up the ladder since firms make hard distinctions between Partner-track and non-Partner-track positions. Also, while you can get into top MBA programs from VC roles, it would be tough to move into private equity, go back into banking, or go to a hedge fund. Corporate finance is quite different from these other exit opportunities because it’s arguably not even a front-office role. In other words, you’re not working with clients or companies that your firm might potentially invest in – the corporate finance career path is mostly internal and related to your company’s budgeting, internal processes, and financing needs. You’ll earn less than in the PE/HF/AM exit opportunities, but you’ll also have better hours and a more regular lifestyle. The end goal in corporate finance is to become the Chief Financial Officer (CFO), which has various trade-offs vs. becoming a Managing Director in investment banking. Corporate finance roles are best if you want a better work-life balance, you don’t care about a slower progression up the ladder, and you want to use your skills at a real company that makes something. We group corporate finance and corporate development together on this site, but the roles are quite different. Corporate development careers all about working on acquisitions and joint ventures at a company – deals – rather than the budgeting and financing processes at that company. So if you like working on deals and longer-term projects, but you want a better lifestyle than what you’ll get in PE, and you’re willing to accept lower pay, corporate development is a solid option. If you work at a well-known company, you’ll have many options afterward: You could go to business school, go back into investment banking, or even go into private equity. It would be tough to enter a public markets role such as hedge funds or asset management from here, but I’m sure someone has done it before. This last one is very different from everything else on the list. It’s not exactly in the traditional “investment banking exit opportunities” set, and it’s more of a “trendy thing” for bankers to do. The banking skill set is not particularly useful for these roles unless you join a later-stage startup that has budgets and customers. The main advantage of this path is that you get to determine your destiny. The disadvantages are that the risk-adjusted returns are terrible and that it will be almost impossible to go back into finance if you’ve run your own business for a long time. It would also be tough to move to a normal company if you’ve run your own business for years and years. So you have to be pretty certain you want to go this route, and if you decide against it, you need to get out ASAP. Take a look at the Articles page on the site or do a search to find coverage of other industries. Finally, don’t rule out staying in banking. This obsession with investment banking exit opportunities is a U.S.-specific phenomenon, and it makes less sense now than it did in the past. Mid-six-figure to seven-figure pay at the mid-to-senior levels, and if you’re at an elite boutique, that pay will be in cash rather than stock or deferred compensation. The risk-adjusted compensation can’t be beat. Yes, you can earn far more money in buy-side roles, but there’s also far more risk from your fund blowing up or shutting down. And pay at normal companies doesn’t come close unless you reach an executive position at a huge firm. There is a clear progression up the ladder. This progression is in sharp contrast to many other roles where you keep the same title for years. To Exit or Not to Exit: Is That the Question? No, that’s not the question – or at least, that’s not the complete question. Rather than thinking about “investment banking exit opportunities,” you should think about your long-term career progression. Test out different industries with your internships, see what you like and don’t like, and then see what you think of your full-time role in banking. If you want to leave and you have your heart set on a mega-fund, move quickly! If not, take your time and see what fits you best. With enough time and treatment, you might just lose your obsession with exits. Do it well enough, and people might start thinking you’re European. Hi Brian! As always, thank you for the insightful (and real) article. I have hit a point in my career where I am looking to transition from buy-side ER at a small shop and I currently have a few offers on the table. The offers are for 1. sell-side ER associate at a prestigious MM IB 2. VC analyst at a tiny VC firm where I would get a lot of exposure to the entire deal process and 3. investment analyst at a small credit HF on the west coast. In terms of career progression from these roles (assuming I don’t want to make a full career out of them) what would that look like in terms of transitioning to PE or bigger HFs? The VC role sounds like it would provide really good deal experience that I could use to either get into an M7 MBA or potentially be able to get into a smaller PE shop. The sell-side ER role would likely set me up to exit to an HF (with networking efforts) and the west coast HF I’m not entirely sure.. I could probably move to a larger HF down the road if it’s not my cup of tea. Any insight here would be greatly appreciated! Those are 3 completely different options with different trade-offs, so you need to decide what your long-term goal is first. If you want to move into private equity or bigger hedge funds, the VC role is your worst option because VC has very little to do with PE/HF work. You could use it to get into a top MBA program, but the VC to PE transition can be surprisingly difficult unless you move to a PE firm that is actually more like a late-stage VC or growth equity firm. If you want to stay in the credit HF world, the third option could work, but I don’t think it’s great for moving into PE eventually. And with the first option, yes, you could probably move into a broader set of HFs eventually, but it’s still not great for PE because you do not work in deals in ER. So… if you want to stay in hedge funds in the long term, options #1 or #3 could work. Option #2 would work if you want to stay in VC or do an MBA and switch to something else related, like corporate finance at a tech company or a startup or more VC. I don’t think any of those options give you a great pathway into PE. Hi Brian (or anyone who could help). I am a newly promoted manager in the portfolio valuations group at a big 4. I am in the process of applying to top 20 schools to move into I-banking OR corporate development. I may be getting an offer for an M&A associate position at a very small bank (yay tight labor market) and was wondering if (assuming I receive an offer) you had advice on if I should just get my MBA or accept the offer. Long story but my MBA would be paid for. My thought is it be much harder to go back to get my MBA if I HATE the new job and would be able to test something out in an internship Thoughts? If your MBA is paid for, then I agree with that assessment. Better to take that option, test out IB with an internship, and decide from there rather than taking a new job and finding out that it’s not right for you. You will lose out on income for ~2 years, but you would lose out on far more if you take the IB offer and then end up quitting. I’m attempting to lateral into IB after just starting my career somewhere else (about 4 months in). Obviously, the dream is to lateral into a BB or EB, but I might have to end up going to a MM instead. If I end up going to a MM, should I try and lateral then to a BB or EB before going to PE/HF so I can get to the best buy-side opportunities? Like you’ve stated before, many PE/HF recruits are with the analyst class and I don’t want to be labeled a “banker for life” by trying to switch into a BB/EB as an associate, but I also would rather go to a mega fund PE/HF rather than a middle PE/EB firm. I know right now I should focus on getting into IB first, but I can’t help but think about the future. Thanks! I don’t know if I want to stay in IB yet or move to the buy side so I just want to keep as many options open as I can right now. Thanks! Yes, it is best to recruit for buy-side roles from a BB or EB bank if possible, so you would have to make another move if you end up at some other type of bank. But I wouldn’t worry about this too much for now because you need to get into IB first… which is harder than it sounds, even at smaller firms. Thank you for the article. You mentioned that it is difficult to exit from east coast to west coast, but just how difficult is it? I am planning on staying in NYC for couple years pursuing a post-MBA career in IB then move back to west coast afterwards. Does that sound like a viable plan? The difficulty is more in the logistics than anything else (finding time to interview, traveling back and forth without people noticing, etc.). At the post-MBA level, it really depends on what you want to do. You could easily move to the west coast if you want to stay in IB, but moving from IB to PE and also switching locations is more of a stretch… since it’s already extremely difficult to get into PE at that level. I know you said that exit opps in terms of prestige of BB from GS to UBS is dependent on the analyst’s ability to compete with others. Is this is only applicable during the interview stage? Looking at buyside recruiting and getting the interview, I know head hunters play a major role, and my impression is that they prefer top BB and EBs because of reputation, as you can’t really see soft skills( i.e polish, intellect, etc.) on paper. Also, more prestigious banks have more deal flow, which translate to more deal experience for the analysts to talk about. How would you weigh the difficulty of getting your foot in the door coming from a BB like UBS or DB? You can still do it coming from UBS or DB, but yes, it is more difficult. Whether or not it’s worth moving to a larger bank depends strongly on how much you want to work at the biggest PE firms. My experience is that most people *think* they do, and then end up not liking it that much and leaving for something else anyway. Just started as an analyst out of college in an FP&A role at a good sized publicly traded company. My attitude thus far about the job is best described as “meh”. Perhaps it is impatience, or even arrogance, but I know for certain that this not what my future holds. My father is a wealth advisor and I grew up surrounded by people in various levels of asset management, PE, and VC. With these connections, and enough experice in even FP&A, is an exit opportunity into something like PE or VC even possible? Or am I already considerably behind? Appreciate any advice, thank you. Potentially, but you probably won’t be able to move into one of those directly without transaction experience in corporate development, investment banking, or something else like that first. Thank you for the feedback. I’ve been doing more research and corporate development seems like a better area to focus on in the short term. 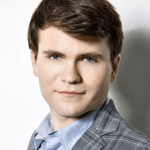 I am out of college for 1 year – and in the past year I was pursuing entrepreneurship and then a structured product temp role. However, I don’t intend to be a product specialist and want to get into IB. Do you have any suggestions in terms of how I can break in at this point? Will pursuing a grad school degree help with recruiting (in Asia especially, but U.S. ideally). I have background in Asia, and have BB internship experience working in tech division. I am now coming back to grad school most likely will be in MSF you mentioned or Finance related quant subjects such as stats/operations/finmath etc at a target(my undergrad is also a target). I will also be doing a BB banking internship in Asia pre-masters. I just want to have a back up if IB recruiting doesn’t work out for me. What do you think about the strategy? What do you think are my chances recruiting for BB/EB/MM Boutiques? Thanks! Your strategy is fine. If IB doesn’t work out, go for any of the other “Plan B” options repeatedly discussed here: corporate finance, Big 4, independent valuation firm, etc. It’s difficult to assess your chances without knowing your full background. Thanks for your timely response. I wonder how can I get more help/assessment from you? I have looked at your coaching service page, but I might only need a portion of your service more at this point (such as assessment/action plan) rather than a full service package. We only offer the coaching packages shown on that page, and I do not do anything personally due to lack of time, so at this point I don’t think we can further help you. I joined a boutique IB/VC after college, where I worked for 3 years, got bored and then moved to a management company covering investments in the banking and media sectors, where I stayed for 2 years, following which I moved to IB (where I presently am). I’m still trying to figure out my career path, however I have discovered that I enjoy working one new projects and working with companies to understand their business operations and the industry as a whole. My ultimate goal is to invest in and manage multiple business. Reflecting on my 6 year working history, I find that VC/PE will give me with that joy and business and management skills I wish to acquire. Whats your take on this? Yes, that sounds reasonable, but you need to narrow it further because PE and VC are quite different and require different skill sets. VC is far more about networking and qualitative work, and you don’t necessarily contribute as much as a junior team member. Thank you for the article. I am currently a first year analyst in banking and am thinking about what I would like to do after banking. I pursued a Finance/Accounting degree in college but have always been interested in engineering (was involved in a few hackathons in college). I enjoy the work at my firm, but I have thought about exploring software engineering focused opportunities after (start up for example). What are your thoughts on doing something like a Stanford dual MBA/CS degree? Do you know of anyone who went back to college to receive a full engineering degree so they could work in that field? Thank you. i work in software and found your question interesting. from my view, i’ve never seen a non-engineering undergrad move to MBA/CS to work in engineering, but i have seen professionals with non-engineering degrees acquire engineering skills through self-study. in software — perhaps unlike in banking — it’s less critical to have a CS degree from a target school. if you’re really interested in engineering, i would start learning on your own with the help of sites like coursera and udemy…not sure it’s necessary to go back to school. this would help you understand whether you truly love engineering or might prefer a different role such as product management or sales (i have seen many ex-bankers move into PM, fwiw). just my $0.02. hope this is helpful. Not offhand, no, but it’s a decent option. As Evan said below/above, you don’t need a specific background to do engineering as long as you’re good at it… prestige matters far less, and even high-school dropouts can be fantastic programmers. Hi Brian – Nice article! M&I always provides great insight and logical reasoning. You mentioned that when choosing between bulge-bracket banks, “prestige” shouldn’t be a concern since “the specific bank matters less than the type of bank you’re at.” I am wondering if the case still holds for the nine bulge-bracket banks, especially for UBS and DB. Thanks. Did you see the part about how this version of the article was written recently, i.e. a few weeks ago in 2016? The reason that “better” banks such as GS/MS/JPM tend to have better placements into PE is that smarter and more polished Analysts tend to go those firms. This is especially the case now that the overall quality of IB candidates has dropped significantly (I’m about to go crazy with the sheer stupidity of the questions we get these days). So… are you polished enough to receive an offer at one of the top 3 banks? If so, but you happen to like the team at UBS or DB better, you can go to UBS or DB and recruit for buy-side roles, and you’ll still do fine as long as you’re at the same level as the best analysts at the better banks. Brian – very interesting article. I have a question. I am currently in an IB role and I was wondering if you think working at RE private equity firm is possible or if you ever see anyone moving from IB to Real Estate at all? It’s possible, but normally for real estate they want to see more of an industry background. So your chances would be better if you worked in real estate investment banking or even something like infrastructure or project finance. Most of the RE PE stories I’ve seen have been people moving in from one of those or from commercial real estate brokerage firms. I am a 1st-year analyst at a good boutique. I am still undecided about what I want to do so could I stay for 3 years in banking and then jump to the buy-side? Would I be at a disadvantage if I recruit a year late? I don’t think you would be at any disadvantage if you recruit a year later. It’s just that you’re taking a bit of a risk because the market may worsen or there may be fewer opportunities by then. But plenty of analysts do actually stay for a year before they begin to recruit for buy-side opportunities, often because they don’t have enough deal experience a few months into the job. I am a first year at a BB and was wondering how you think it is viewed to leave after only 1 year? 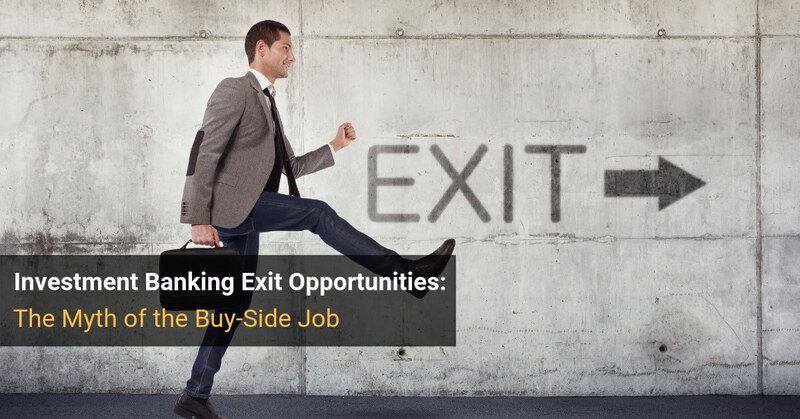 Do you still have strong exit opportunities or are they more limited? Some firms would view it negatively, but it depends on where you’re moving to. If you get a PE offer that starts after only 1 year, sure, take it… but most of the time, they don’t, so your exit opportunities are more limited at that point. What exit opportunities have you seen for people working in Public Finance at at top 3 BB firm? Go to another bank, maybe go into DCM or LevFin, or maybe trade municipal bonds or do something else related to municipal bonds at a hedge fund. It would be tough to move into a standard IB/PE role from public finance.